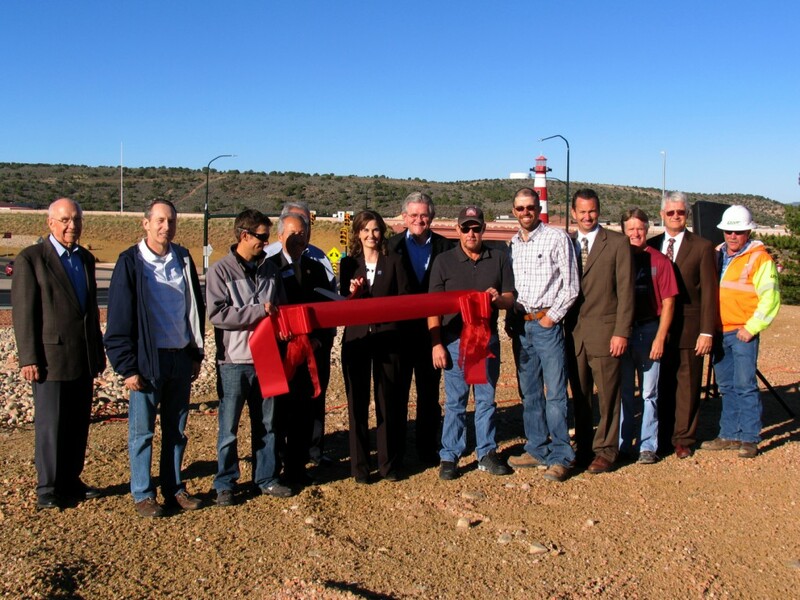 CEDAR CITY – A project 15 years in the making came to a close Friday morning as the new diverging diamond interchange for Interstate 15 Exit 57 at the south end of Cedar City officially opened to the public. 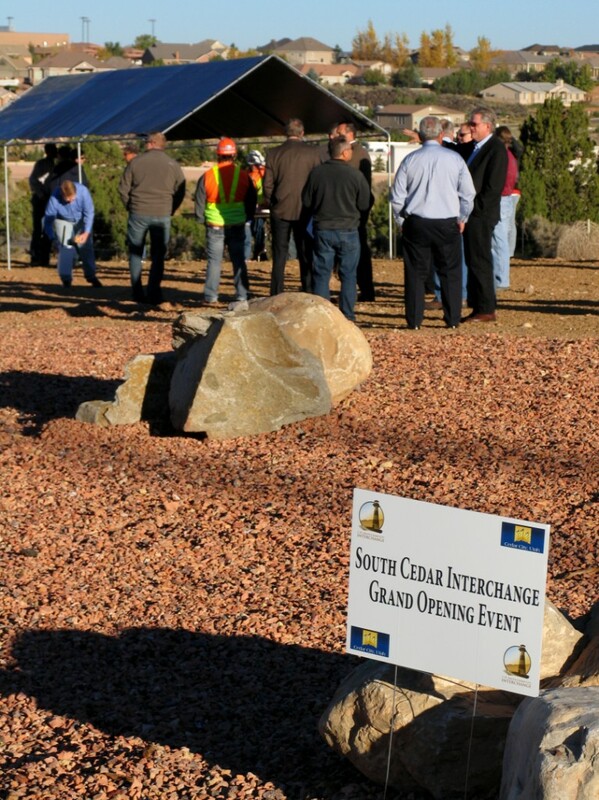 The small crowd that gathered in the chilly Friday morning air for the South Cedar Interchange grand opening ceremony was comprised mostly of city officials and the major players who brought the new interchange to fruition. 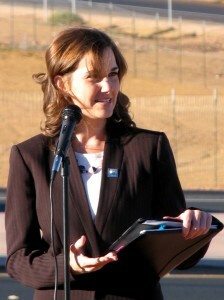 Hunkered into jackets and shielding their eyes from the sun, attendees shared in the laughter and excitement that was in the air as each speaker took a turn addressing the crowd. 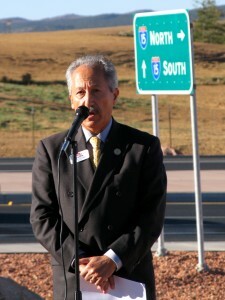 Highways and byways don’t connect the community; people do. 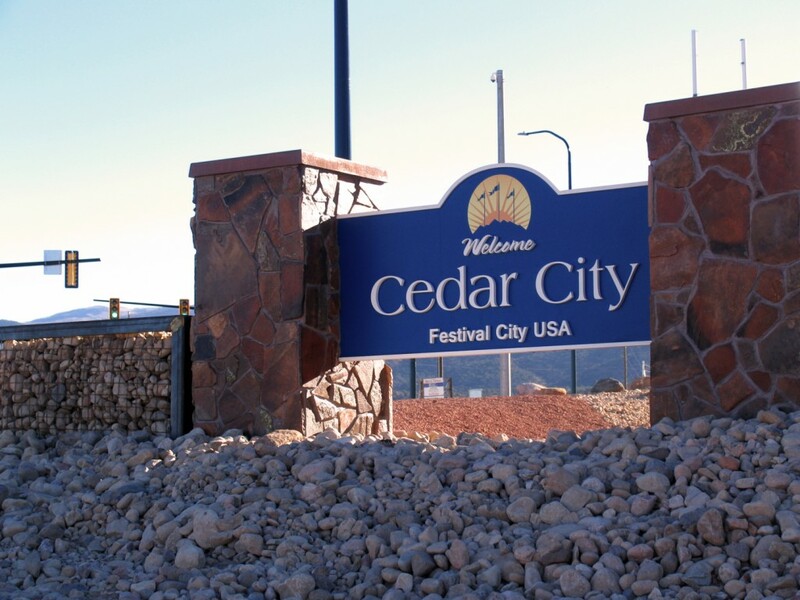 Sharing the story of his first time in Cedar City 25 years ago – late at night after a long drive from Santa Rosa, California, and an alien encounter or two – Zeenati said he believed he had finally made it to “sunny St. George,” his final destination. Saddened to find snow on the ground and frigid temperatures in a place he believed would be beautiful and warm upon his arrival, Zeenati said he reluctantly stayed in Cedar City for the night after the hotel clerk informed him that St. George was actually 50 miles south. Exhausted, disoriented, hungry and disappointed, Zeenati said he settled in for the night. A short while later, the hotel attendant, who had been shoveling snow and salting walkways upon his arrival at 2 a.m., surprised him and his traveling companion with an ear-to-ear smile and two cups of piping hot chicken noodle soup. “Her departing words were this: ‘St. George may have the sunshine in the sky, but we have sunshine in our hearts in Cedar City,’” Zeenati said. 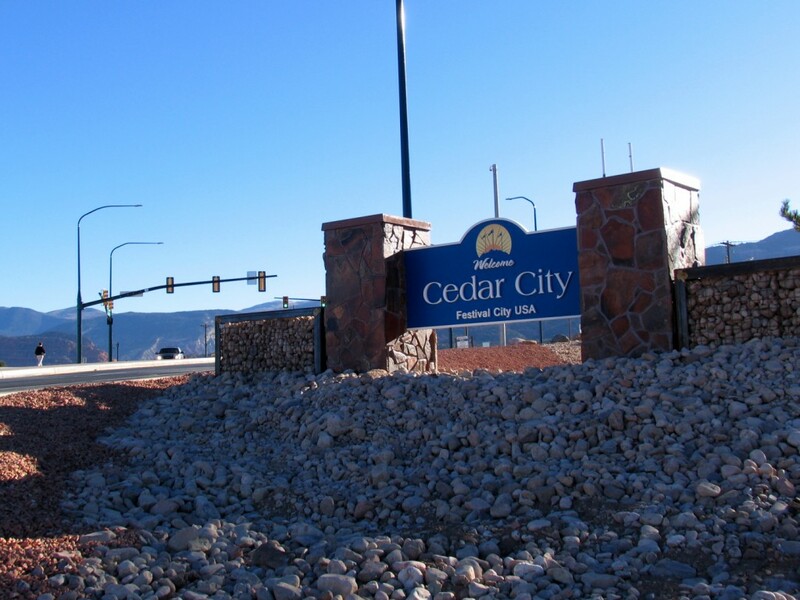 Zeenati said the welcome he received on such a miserable night left an imprint on his heart and defined to him what it meant to be a resident of Cedar. 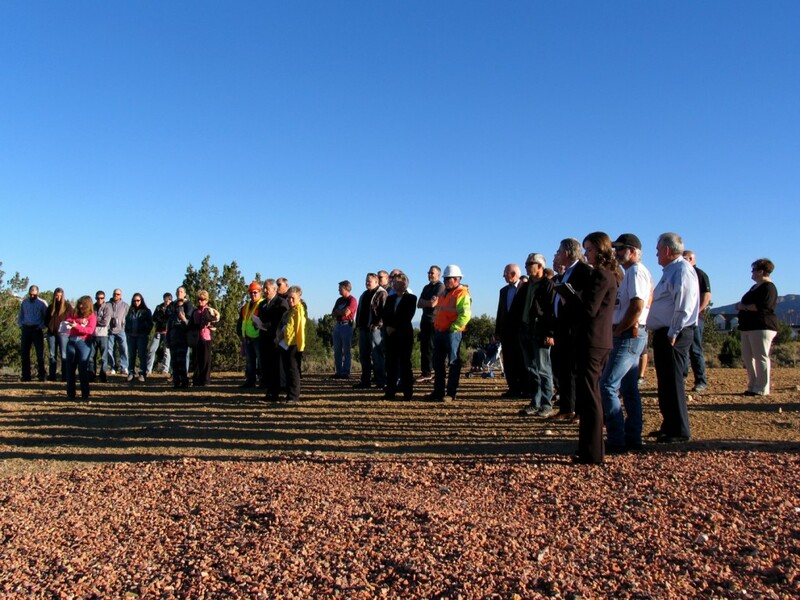 It’s because of people like the woman at the hotel that a project like the South Cedar Interchange could even begin to happen, he said. 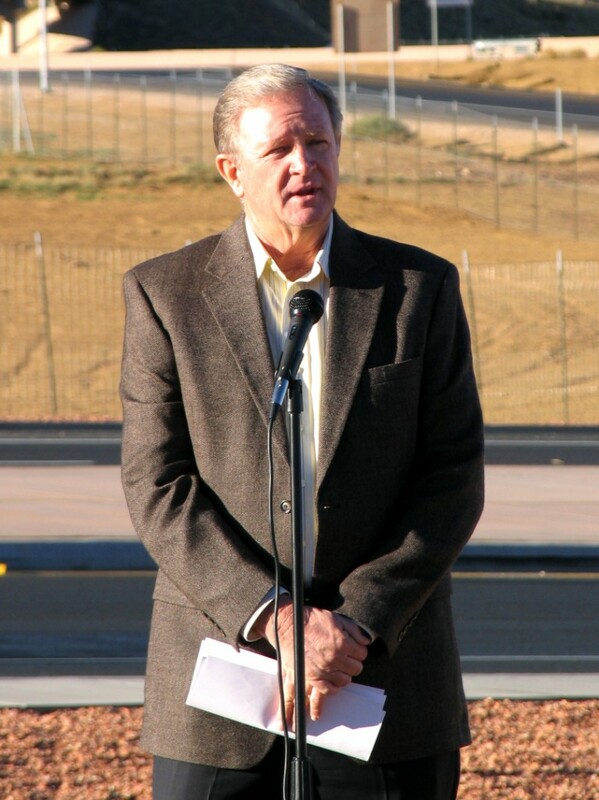 Addressing the crowd, Utah Department of Transportation Region 4 Director Rick Torgerson said there was a 30-year wait on the books for the new interchange. 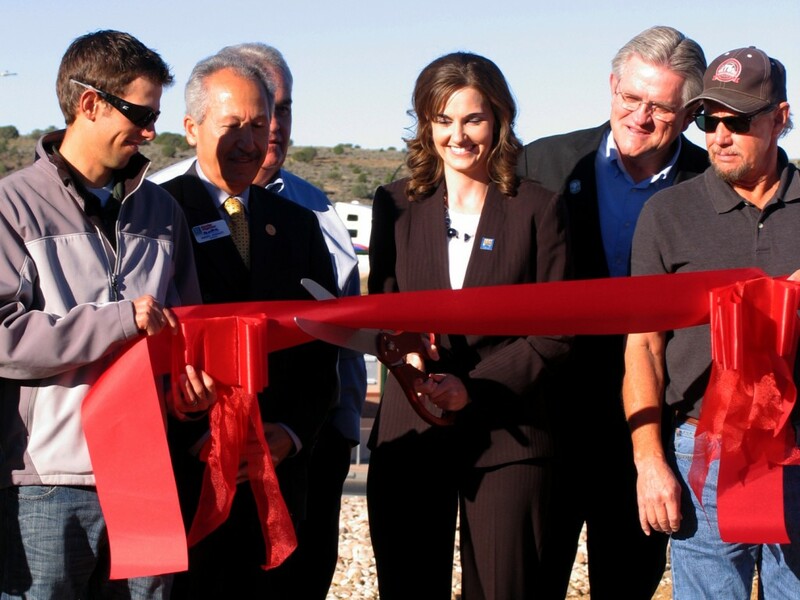 He said it was a challenge to bring together all of the required components to make a project like this possible, but the leaders of the town worked hard to do whatever was needed to bring it to life. 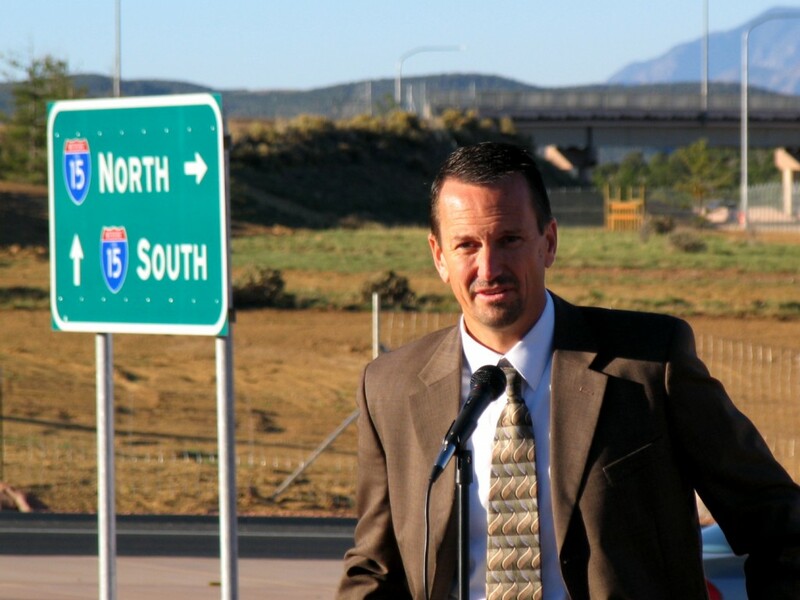 Torgerson said the obstacles presented by the previous configuration of the southbound on-ramp at Exit 57 were compounded by the lack of funding for the expensive undertaking of addressing them. 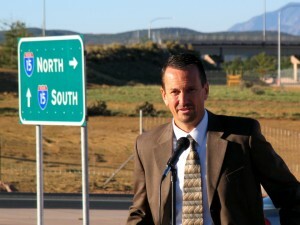 He said previous Cedar City Mayor Joe Burgess proposed a partnership arrangement to UDOT and the Utah Transportation Commission, thereby securing the project’s future. 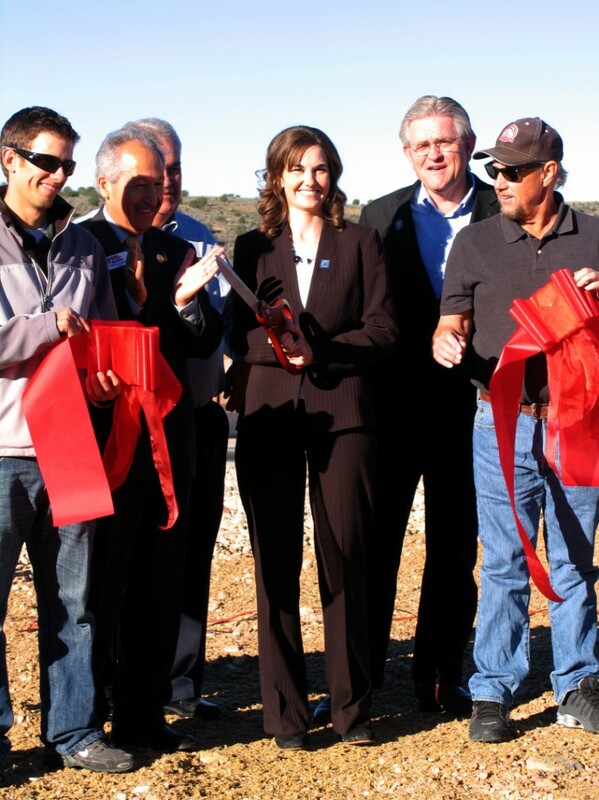 He said the new interchange reduces the number of possible conflict points that could cause accidents from 30 to 18, making travel safer for vehicles, pedestrians and cyclists. Additionally, he pointed out that the old southbound on-ramp was preserved and opened by the city as a new way for for ATV enthusiasts and sheepherders to travel across I-15, allowing traffic to continue flowing freely at the same time. 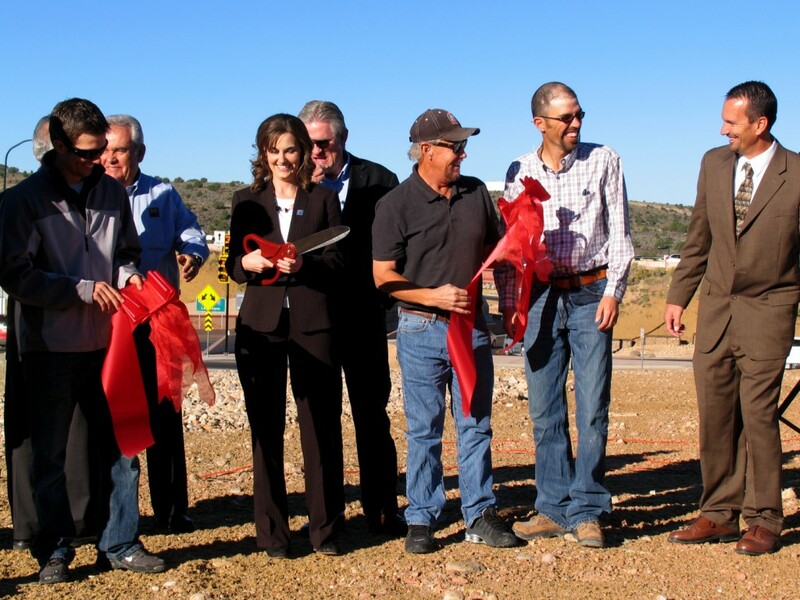 Cedar City Mayor Maile Wilson said the new interchange is a “game changer” for the community, providing a safer option for community members to travel back and forth from east to west across I-15 while opening up new space for commercial enterprises in the future. 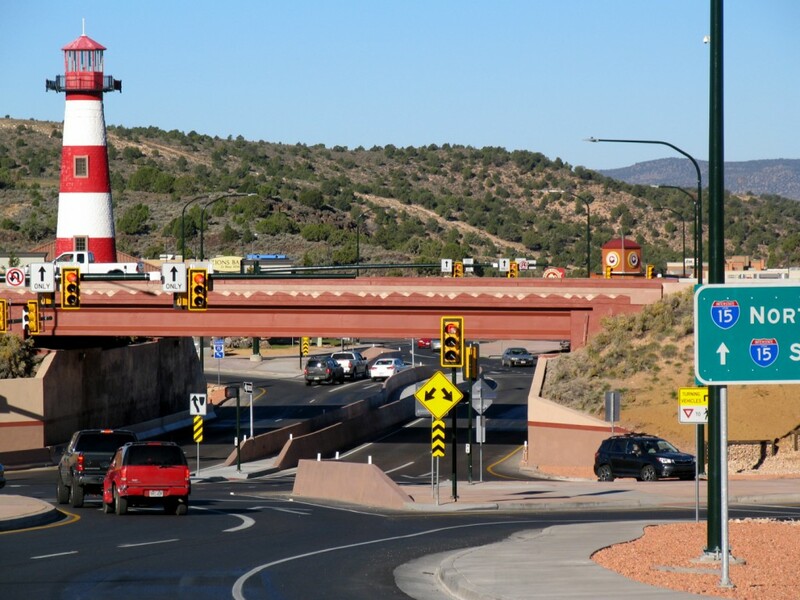 The clean, welcoming look of the new south entrance into town from the interstate is one that residents can take pride in, Wilson said, and one that represents the people of the community, right down to their tenacious fortitude.